This mantel is a simple contemporary design to accent all the design features in your home. 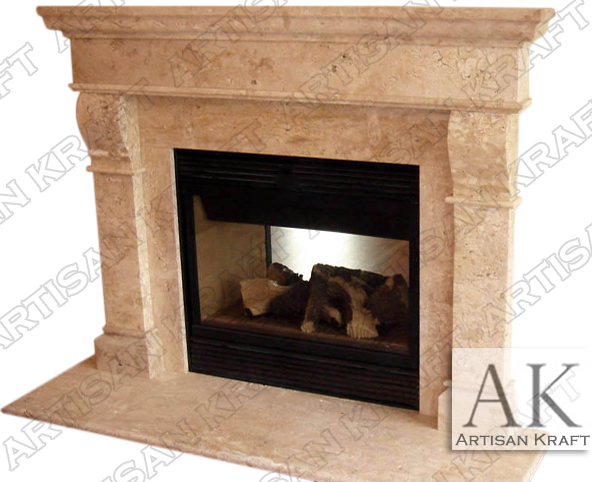 The Baltimore mantle surround is a hand carved from a beige marble. Pilaster legs topped with corbels. It is installed around a prefabricated firebox with gas fire logs. Stone: Travertine, cast stone, limestone, sandstone, marble etc. Available in many different colors, textures and finishes.